We were encouraged to take as many pictures as we could of Duke Nukem Forever here at Penny Acrade Expo 2010 today. So I did. Excuse the shaky framing; I was trying to play while snapping pics. These shots show the two-level DNF demo, scenes photographed in chronological order. 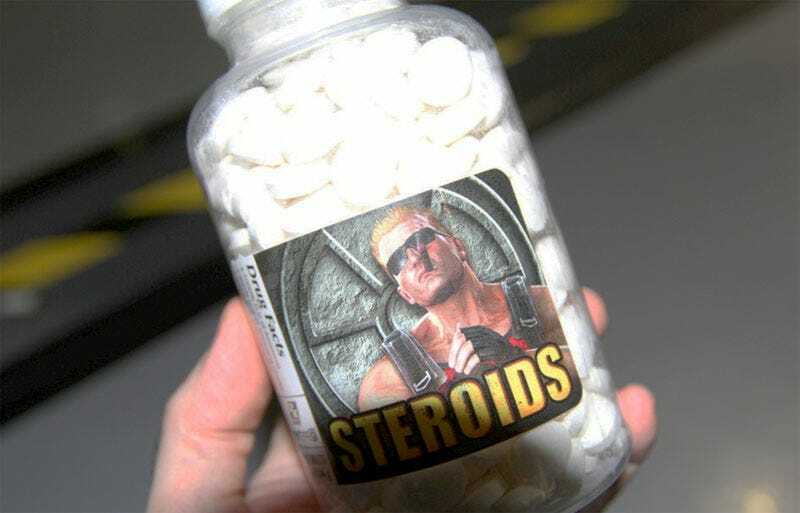 Oh, and one bottle of Duke Nukem brand steroids.